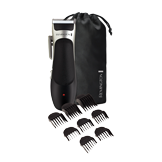 Rapid Cut Hair Clipper is rated 4.5 out of 5 by 178. Rated 5 out of 5 by Rizwan1986 from Easy to grip Very easy to use. Nice quality. Would prefer if it has barber scissors that the only thing required to do perfect hair cut from top. Rated 5 out of 5 by The Fox from Powerfull and fits in palm of hand easy to use Recommended to me by a friend. I could not believe how much more superior it is to the one have been using for many many years. 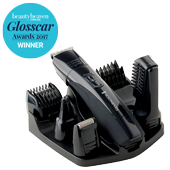 Cuts perfectly .Easy to clean and I could not be more happier with my HC4250 Rapid Cut Hair Clipper. Rated 5 out of 5 by Eebee from Great! It was a present for my husband. He really enjoys it - it’s ergonomic to hold and very convenient. He has used it in the shower and dry, and can’t fault it yet. Rated 5 out of 5 by Track from All rounder har clippers Great quality clippers. Curved blades give a great cut and close shave around your head. Rated 5 out of 5 by Pete457 from Great product! I bought this about a month ago and it does exactly what it says - keeps the hair short and neat and does a professional job. No more expensive barber visits. I require a replacement 1.5 comb for my rapid cut hair clipper, can you please if you can supply this to me Thank you. Where can I buy a charger for a Remington Vacuum Hair Clipper? Hi Brent, Thankyou for your query regarding purchasing a charger for your Rapid Cut. You can call our toll free number 1800 623 118 and purchase them directly from us. The cost is $30.00 plus postage. We look forward to hearing from you. Hi I need to replace the blade where can I purchase it from? Hi Richard, We have a replacement blade available for the HC4250AU. The cost is $15 + freight. Please phone us on Freecall: 1800 623 118 to enable us to assist you further. Regards. 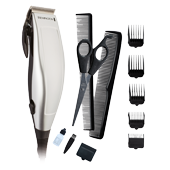 High quality professional hair clipper for barbershop results at home. 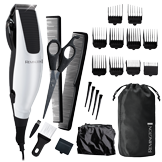 Advanced ceramic coated blades - ultra sharp and long lasting for effortless cutting performance. Ergonomically designed for easy handling in the comfort of your own home. All the essentials for a convenient at home hair cut. 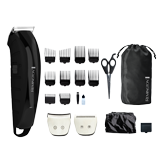 High quality professional personal groomer for barbershop results at home.